Most people do not have hair that is naturally light enough to achieve gray without some sort of bleaching process. When hair is bleached, it lifts through multiple color stages typically going from orange to yellow-orange to yellow to super-faint-but-still-kind-of-there-yellow. Most grays are formulated with blue or violet pigments. You can probably start to see the problem here. If your hair is lightened and lands somewhere is the yellow spectrum, adding blue or purple on top of the yellow is going to be an issue. This means the safest bet for achieving gray is to be a platinum blonde before the gray color is applied to your hair. In order to reach platinum, we have to use foils and tiny sections and lots of bleach and a bond builder and a lot of both of our time. It is a long and expensive process when done correctly. For reference, at our salon, the blonding service with the lowest price for this type of look starts at $450 with a Level 1 Hairdresser. A heavy duty bleaching service is also hard on your hair. If you have super fine hair or previously colored or previously bleached hair, getting to platinum may not even be feasible if we want to maintain the health and shine and strength of your hair. Also, keep in mind, if your hair is naturally dark or has previously been colored, you may not be able to achieve platinum in one setting. 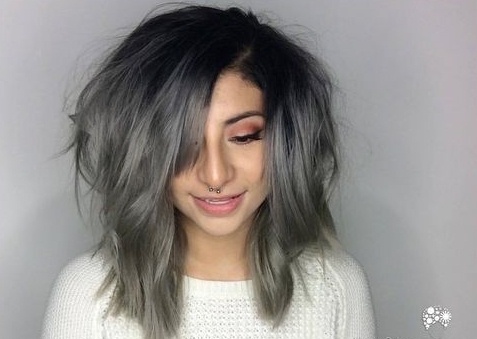 You might have to do the whole process twice to get your hair light enough to achieve a gray or silver color. What if you have perfect hair and get to a platinum color the first time we bleach? 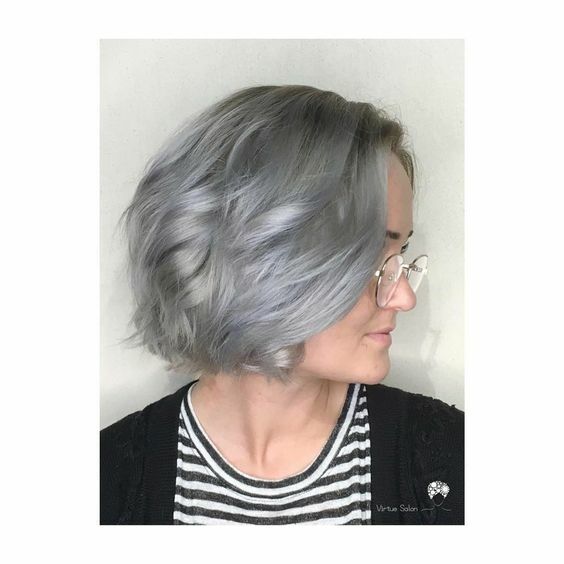 If the hair gods smile on us and we do get your hair light enough for a gray/silver color, just keep in mind that a beautiful silvery/gray is basically two or three washes away from being an icy blonde. 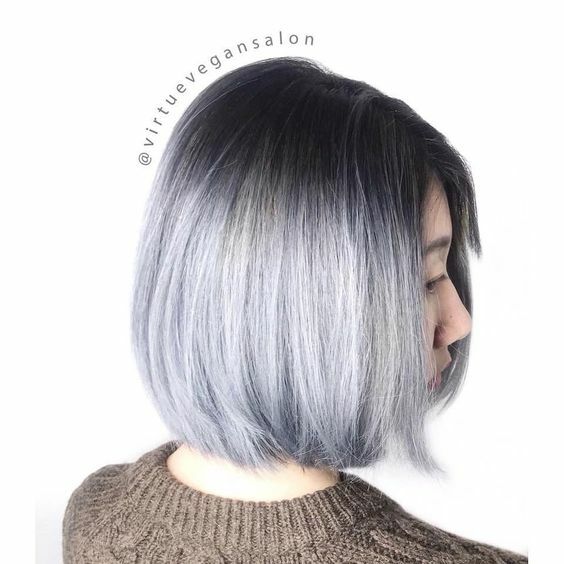 All color fades a little over time because of washing and heat styling, and a very subtle silver will likely only last you a couple of washes. 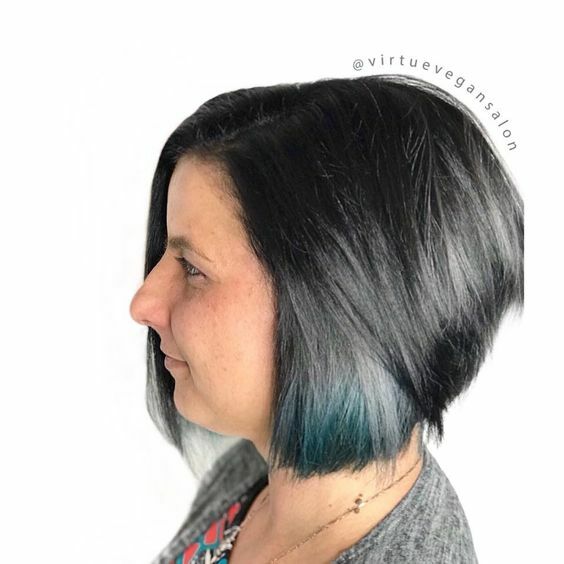 Opting for a darker gray to begin with will allow for a bit more longevity but then you will be coloring your hair darker than you want in hopes of achieving the desired result through fading. You'll likely have spent multiple hundreds of dollars and a full day at the salon for a color that might only last you 1-2 weeks before it fades out to blonde. While this color is not for the faint of heart, the end result is insanely beautiful.